Graham Smith started up Archway Carpets 35 years ago in April. 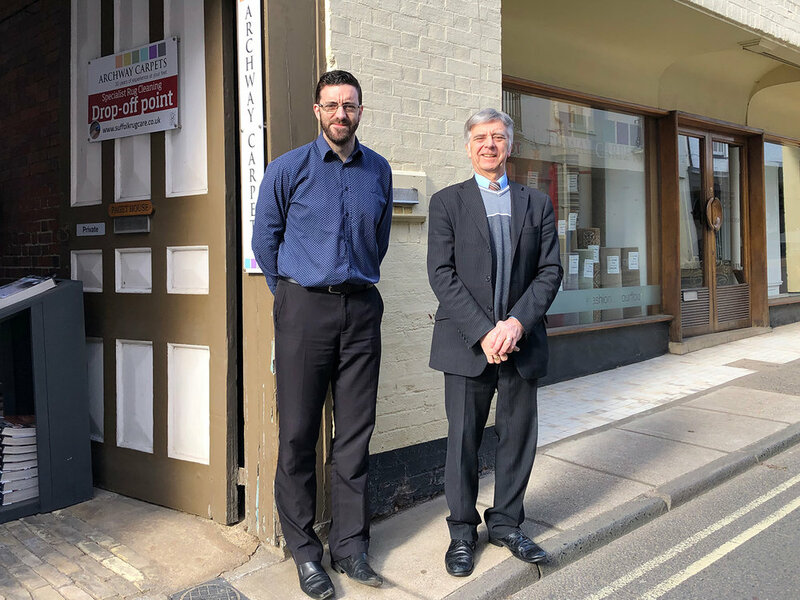 In our latest blog piece, we thought we would gather together father and son team, Graham and Darrell, and ask them about their experiences to date of selling carpets here in Woodbridge. Thirty-five years ago, Graham, you set up Archway Carpets; what were you doing before? I was working in the carpet department at the Co-op on Carr Street in Ipswich which is long gone now. [Thinks] I started at 15 and left at 35 to start this business. What was the motivation for starting a business? At the time, the Co-op was not forward thinking, and you struggled to get money to spend on things. I wanted an estimator to go out to homes, but they wouldn’t pay for that. At the time we had to rely on fitters to get the measures which they’d bring back to us, and we’d work it out. How long did it take for you to make a decision to go out on your own? It took quite a while to go out on my own: to find a place, and get fitters lined up. How did you come to choose Woodbridge? I went to an accountant to see what needed to be set up and then we had a look around for premises. At the time, there was only Barratts in Woodbridge, and one other company I forget that has since closed down, but I thought there was enough room for another flooring company. So thirty-five years ago, when was that? You found your shop at 7 Church Street in Woodbridge; do you remember who was here before Archway Carpets? Graham: Before I took it over it was a little nicknack shop. Graham, did you set up on your own? There was my wife who did the paperwork and looked after the shop while I went out did measures during the day. With that, the business slowly built up. How did you advertise the business back then? Print advertising, word-of-mouth and repeat business. Archway Carpets is known for its customer service ethic; where did you think that came from? Basically, my training at the Co-op. It’s also important to get fitters who did an excellent job because it’s them who the customers saw. If they’d done a bad job, that would reflect poorly on us even though I’d given them the best customer service in the shop. So we ensured we work with good fitters as that’s what the customer sees. “To carry on for that length of time, you must be doing something right”. It’s a big question, Graham, but what are your thoughts on the last 35 years? Well, the business has been a success as it could’ve easily folded in the first few years. To carry on for that length of time, you must be doing something right. Of course, Darrell is now here. How did his joining Archway Carpets come about? Darrell said he would always take the business over once I retire but when my wife died Darrell decided to come into the business there and then. Running this business is a two-person job, and I couldn’t have done it on my own. I met my wife and the Co-op, she was secretary to the furnishing manager. Along with the paperwork, she knew how to talk to customers and knew what they wanted. So when she finally died, Darrell came into the business…. And I haven’t retired yet [laughs]. Darrell: Think we’re going to start thinking about a couple of days a week aren’t we? Graham: Perhaps a bit later on. A day off here, day off there. Graham: Customers come in and say “You’re still here then”. So Darrell, what was it like joining the family business? Scary. I’d never had anything to do with carpets, ever, plus, I thought it was going to be a temporary thing. Very temporary then. So how did it go Darrell, those first few months? It was good. When I came in, I introduced Archway Carpets to social media, card machines, online banking, that kind of stuff. So, Darrell, you were responsible for bringing the business into the 21st Century? Graham: He did. I had a calculator and a pencil. So how has the industry changed over the last 35 years? 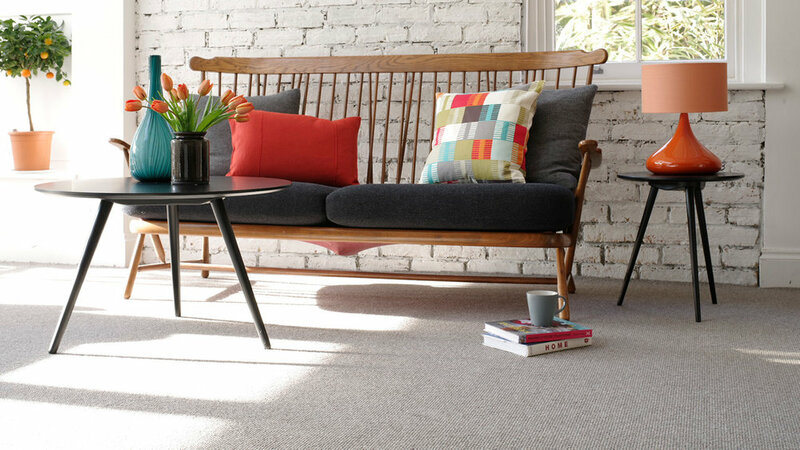 Graham: There was a lot of British manufacturers, but we’re seeing more carpets coming over from the continent now. What is the ratio between British and carpets from the continent? I would say 60/30 in Britain’s favour. We deal with Brockway, Cormar, Kingsmead… they’re all British companies. Darrell, you’ve spent the last years getting to grips with carpets, how have you found that? There are endless amounts of product ranges, colours, designs, variations, all the technical knowledge; how we fit it. So it’s continuous learning curve then Darrell? There was the recent Brockway Carpets visit you went to Darrell, and you said you learned something new there? Yes, then you go to another manufacturer, and they’ll do something slightly different. They’ll use wool from other breeds of sheep which will have a particular feel and act differently. I understand where the wool comes from, i.e. which breed of sheep can have a significant impact on what kind of carpet is produced. Darrell: Wool from the Lakeland herd is exceptionally hard-wearing. It literally doesn’t have much done to it before its put into the carpet. What about the future of Archway Carpets? Darrell: We’ll be here in Woodbridge doing what we do: selling carpets and delivering our high levels of customer service. Darrell, you have two boys in their teens, do you think they’ll join the family business? I’ve asked them, and they said no. [laughter]. The eldest wants to go to university. He wants to be a CSI (Crime Scene Investigator). So we’ll be looking forward to CSI Suffolk? Yes, something like that, and the youngest, well, he’s still young, so he’s got time to work out what he wants to do. What did you want to be Darrell when you were a kid? 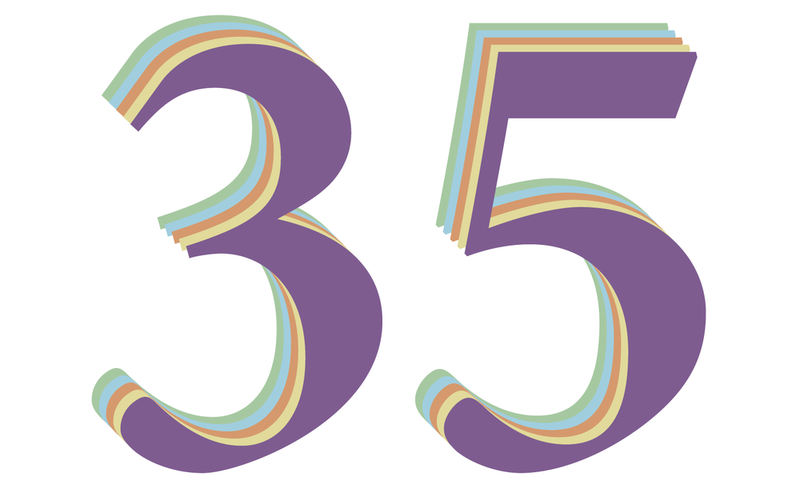 How will you be celebrating your 35th birthday? We’re having a get together at the shop on the 10th of April for customers in the afternoon. Anyone reading this is welcome. That’s from 1 – 4 pm, and we’ll have canopies and fizz. Then in the evening, we’ll be inviting our suppliers and other local businesses for drinks at the shop. And there’s talk Darrell of you celebrating your 35 years by doing 35 acts of charity in one year? That’s right. We’re working with five charities for #35for35, and they are Papworth Trust, Age UK Suffolk, Emmaus (Ipswich), Rubbish Walks and CALM. Each charity will receive ‘seven acts of kindness’, and we will raise money for each one. We’re still working out the details, but it’ll include cycle and walking challenges; have donation pots in the shop; have charity magazines for pickup at the shop. Sounds brilliant Darrell, we look forward to hearing more about this. That just leaves me to wish you a very happy 35th birthday.